This may not actually be a One Liner, but let it be my Christmas gift to you! “When you’re lonely, visit an elderly neighbour. When you’re scared, help someone else be brave. When you’re stuck, encourage someone else to take a small step. When you’re depressed, make someone else smile. When you’re defeated, cheer on a family member. When your heart is broken, help a friend mend theirs. 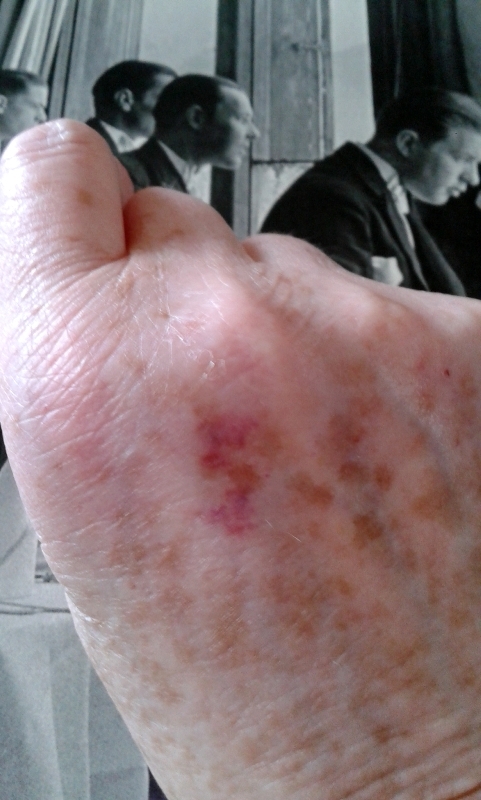 This entry was posted in Questions and tagged Quotations, Sunday One liners on December 21, 2014 by Grannymar. Supposedly, it is the most useful social media site for business. An online source to manage your professional identity and build and engage with your professional network. A way to access knowledge, insights and opportunities. The first entry on my search results tells me that LinkedIn has 300 million+ members! Why am I a retired old lady writing about this topic? a) I am not a professional anything these days and..
b) I do not use LinkedIn. Sorry about that Marie. The request to link has gone automatically to all my contacts once I became an unwilling member to oblige someone. I am really sorry that I have troubled you. I smiled at that one. Had this person joined because of a spammy invitation like the one above that I received? XXXX, from past experience, LinkedIn seems to send several invitations from the same person over a number of weeks. I find it humorous that a website supposed to be for professionals, seems to enjoy spamming non users. Maybe you should point that out to the powers that be! Do you use this social media site? Does it help manage your professional identity and aid you to engage with your professional network? Or, like me, find LinkedIn a nuisance? This entry was posted in Miscellaneous, Questions and tagged LinkedIn, professionalism, social media on September 22, 2014 by Grannymar. Which kind of friend are you? A friend had this graphic on her blog this morning, as a lead into a post about depression. I never knew RW, I may have seen him in one movie. The picture holds a powerful message and food for thought. Which kind of friend are you? Are you available to listen? Unplug your ears and switch off all modern devices to actually hear what your friend is saying, meaning and NEEDING? You are not out of this world yet, and long runs the fox (depression), but one day it might catch up with you. 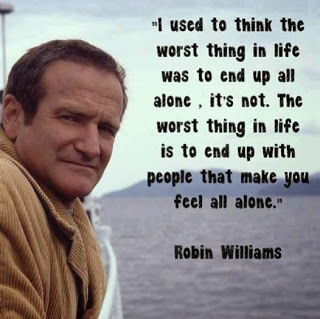 This entry was posted in Friends, Questions and tagged depression, Friendship, help, listening, Robin Williams on August 13, 2014 by Grannymar. Who tried to bite me on Saturday night as I was in a deep sleep. Deep sleep being a new phenomenon for me. Did the culprit sneak off into the night. Is it part of the reason I was awoken at 05:10 hours to the sound of my house alarm screeching through the neighbourhood? Did the driving rain, remnants of ‘Bertha’ pushing northwards from our friends in Hawaii cause my alarm to roar? In my dopey state, I switched it off, and went back to bed, but sleep eluded me until about 07:00. Thankfully on Sunday. a day of heavy rain, I had no reason to leave my comfortable home. This entry was posted in Questions and tagged Hurricane Bertha, questions on August 11, 2014 by Grannymar. Seriously. What can I do? Every time you open a newspaper, listen to the radio, (watch television – if you have one) or read articles online, there are tales of bombings & massacres, in Gaza, or the plight of refugees in Syria….. I could go on and on. Living in Northern Ireland, we are governed by The Northern Ireland Assembly but we still have a Cabinet member of the Westminster Government to keep an eye on us. This means that we have voting rites for both the local and Westminster elections. In my thirty seven years living here, nobody I ever voted for in local elections, made it to Stormont and in Westminster elections we vote for Northern Ireland representatives and not the main parties, so again my vote does not count for much. The Government responsible for my taxes, reductions in pension, rising food and fuel prices, the very folk preaching at me to ‘reduce, reduce, reduce’ and ‘save, save, save’, are people I did not vote for and are responsible for selling armaments to many of the countries using them to massacre men , women and children. The Ebola virus, which has killed more than 670 people in West Africa, is now a “threat” to the UK, according to Foreign Secretary Philip Hammond. We are constantly preached at about our carbon footprint, we are to reduce it to halt global warming, the cause of land slides, ice melts at the north and south poles, and world wide unpredictable changing weather patterns. So what can I, as a widow living alone, do to save the world? I prepare and cook all my own food. The only fast food for me comes in the form of an apple or a banana. Electricity provides light, is used for cooking, using the microwave, fridge/freezer and the washing machine. It also activated the oil heating boiler, the water for my shower, my phone and internet connection. Central heating comes from oil, and an open fire gives comfort and a feeling of not being alone on long dreary dark winter evenings. The fuel for the fire comes from woodchip blocks. I do have a car – fourteen years old now – with a laughable mileage of sixty seven thousand, seven hundred and odd miles on the clock! It is my life saver, a necessity rather than a luxury. Regular three hour journeys to Dublin, are not alone a bonus for my health & heart, but good for the engine of the car. possess, a dishwasher, tumble dryer or television. I switch off lights when leaving a room. So I will ask again…… What can I do? Does laughing cause global warming? Do you think I should give it up? This entry was posted in Questions and tagged global warming, natural disasters, questions, world unrest on July 30, 2014 by Grannymar. What is the best part of being a blogger, writer and/or photographer? The doors it opens for you. When you are reminiscing with friends, what is your favourite story to tell? The one our chatter brings to mind. The place I am at, in the now. When you are looking for inspiration where do you search? I open my eyes and really look around me. Are you a morning person, a night owl or somewhere in between? I am a morning, noon and night person. I was once described as a gazelle. This entry was posted in Fun, Questions and tagged Fun, Questions. on June 27, 2014 by Grannymar. Anyone know what Scratch is? Taken from a flyer that came through my door today: Made from scratch and baked in-store daily. 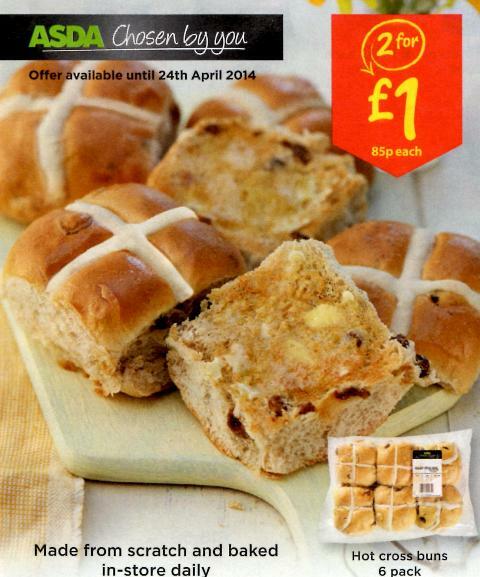 This entry was posted in Questions and tagged Asda, Flyers, Hot cross buns, ingredients on April 16, 2014 by Grannymar. Q: What did you do before we had the internet? A: All the things I do now without worrying about losing a broadband connection. This entry was posted in Questions and tagged Broadband, questions on April 12, 2014 by Grannymar. Woman’s hour on BBC Radio 4, had an interesting item the other morning, about Undertakers. It set me thinking and researching. Ok, so a week ago I felt like death, this week I was in need of distraction from the creaks, groans and pain emanating from my body. When you think of an undertaker, what image springs to mind? A sombre man dressed from top to toe in black? Perhaps attired in a top hat, tailcoat, or long dark Overcoat and leather gloves all above shoes polished as if for a military parade. If we take a look back in time to the late 19th century, most deaths (apart from casualties at war) occurred in the home setting. The bodies stayed at home. Were laid out at home. Laid out by he women of the family or by a few chosen ones in the local community, sturdy stalwarts who were regularly called upon at times of hatching or dispatching. In the 1930s public mortuaries & chapels of rest began to appear, but after the introduction of the National Health Service, ‘death’ was moved away from the domestic setting and was placed in the hands of funeral directors. These funeral directors were all men. WITH TIME MANAGING FUNERALS BECAME BIG BUSINESS. Bereaved families are vulnerable and often easily encouraged to show respect for the deceased with a good coffin, shiny hearse and multiple mourning coaches. When arranging a basic burial, you might well be talking £3,000.00. Get more than one quote to compare costs. The fee for the purchase of a plot depends on which cemetery is chosen, and where that cemetery is located. In my local graveyard, run by the local Council, the purchase of a grave plot for a resident of the borough is £300.00, it increases to £900.00 for a non resident. 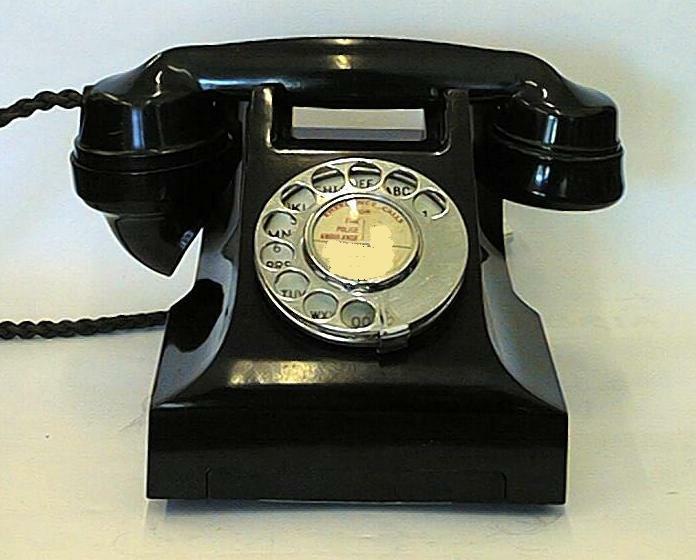 The 1st Opening £280.00, for a second and subsequent opening the cost would be £170.00. If you live in a large city, the costs may well be much higher. On top of that – pun intended, Headstone Pricing can be anything from £900.00 to £2,650.00. These prices include installation of headstone, engraving of up to two names and sentiment but not cemetery fees of £100.00. Then there will be costs to consider for a newspaper notice, flowers, and minister’s fee, the cost of a coffin, and the fees that are paid directly to the undertaker for the use of their services to arrange and conduct the funeral, tips for the organist and the verger at a church for making the preparations (dusting the front pews!). If you add in venue hire and catering costs, you might well be talking of £4,600 and odd pounds. I told you it was BIG BUSINESS! A cremation would be somewhere in the region of £2,500/£3,000 – this dying is not cheap! In addition to the fee of approx £600/£700 paid directly to the crematorium for (striking the match) carrying out the cremation, organists and medical referee’s fee and the use of their chapel for your allocated time, there will also be a fee to be paid to each of the doctors who complete the cremation certificates. I am always amused that it takes only one doctor to declare the ‘body’ dead for a funeral, yet two doctors must sign separate forms for a cremation. Currently in the UK this fee is set at £78.50 per doctor, giving a total fee payable of £157.00. This fee is set by the British Medical Association, and is reviewed and revised annually. Next we need to think of the B O X.
Coffins are a whole different ballgame. Coffins are graded according to (the colour, the shine) the wood finish, and the brass or silver trimmings. My exhaustive research of visiting one undertakers website, informed me that the range varied from a traditional veneered oak coffin with raised lid and polished teak finish @ £305.00 to a solid Paulownia wood³ casket polished in teak finish with luxury padded interior @ £2470.00. An 18 gauge steel casket, platinum finish with ebony shading and luxury padded interior was £POA – price on application, in other words, if you have to ask, you cannot afford it! They catered for the ‘Greenites’ too with a willow coffin manufactured from sustainable sources and available in traditional or oval shape. With water resistant lining, chipboard base and matching wooden frame it would only knock you back £595.00. Are you worn out and ready to flop yet? Never fear, the wind of change is beginning to whirl. Women are increasingly taking on roles within the funeral industry and are reclaiming jobs viewed in recent times as male. It is no longer the preserve of gentlemen. We now have women undertakers, and that programme I mentioned way up there at the top of the post, had three wonderful ladies of the trade on the show:- Poppy Mardall, an undertaker, Liz Rothschild, a funeral celebrant, and Tara Bailey, a former undertaker who’s done a PhD at the Centre for Death & Society at the University of Bath. I certainly learned a few things…. It was like an old vault opening and letting in the daylight. You do not need to have the full formal funeral with hearse, mourning cars and church or funeral home service. Check if the deceased is on the organ donor list and talk to the GP or hospital doctor ASAP. The sooner you do so, the more helpful it can be. Let your loved one live on in another person. Perhaps pass on the gift of life! Get a medical certificate – it states the date, time and cause of death and must be signed by the doctor who declared the person’s death. You’ll get this from a doctor (GP or at a hospital) and you need one to register the death. Register the death within 5 days of the death – you’ll then get the documents you need for the funeral. In the UK, unlike ROI, the death must be registered officially before a grave can be opened or a cremation booked. One tip I will give you is to ask for several copies of the Death Certificate from the Registrar at the first appointment², at this stage there is no extra charge, otherwise, at a later date, you will be asked to pay for each extra copy. Arrange the funeral – you can use a funeral director or do it yourself. If you decide to do things yourself, the Registrar will give you another form that must be filled in to say what has happened to the body and returned to the Registrars office. Even if old Uncle Felix is sitting in an hourglass on the mantelpiece, you must say that on the form. There is no law that says you must use an undertaker or need a fancy box or the flashiest hearse in the country. You can transport me the stiff the body, yourself…. In the boot of your old banger the car. That’s right. Bundle me up and bung me in there like an unfinished picnic in a sudden downpour! Get my son-in-law to fire up the BBQ and away I go! Then go have a “She wasn’t so bad after all!” party and have a ball! Sorting my personal affairs… NO. Not Toyboy affairs. I mean – hiring a skip, selling the house etc, can all be done later. If the death has been reported to a coroner you can’t register the death until the coroner gives permission. The coroner may decide that the cause of death is clear. In this case: The doctor signs a medical certificate, and you take the medical certificate to the registrar. To find out how the person died, the coroner may decide a post-mortem is needed. This can be done either in a hospital or mortuary. You can’t object to a coroner’s post-mortem – but if you have asked, the coroner must tell you (and the person’s GP) when and where the examination will take place. Undertaker if you use one. Solicitor if he is dealing with the deceased person’s will and/or estate. Probate office, if everything is straight forward and there is a will, and you feel comfortable in dealing with things yourself. Bank/s (If you have a joint account and take the death certificate in to them, they will usually make a note that they have seen the death certificate, remove e the deceased person’s name and return the certificate to you, if it is done by post, then they make take weeks or indeed months to return it! Well the poor banks need an excuse to make even more money out of us. Wages department, if deceased was in employment. Do not photocopy a Death certificate, it will be treated like fake money. You need to go back to the Registrars office and pay for them or have a solicitor provide a certified copy…. You will pay handsomely for this. Some local councils run their own funeral services – eg non-religious burials. The British Humanist Association can also help with non-religious funerals. To arrange a funeral yourself, contact the Cemeteries and Crematorium Department of your local council. All prices lists above are in £Sterling. ³ I never heard of Paulownia wood before, it comes from China…. All the way to the UK to be used for one day and buried in a hole in the ground, or cast into an oven! That link above makes for an interesting read, and tells of many uses of the wood for making the soundboards of stringed musical instruments, for chests, boxes, and clogs (geta), and is burned to make charcoal for sketching and powder for fireworks. This entry was posted in handy hints, Questions on May 19, 2013 by Grannymar.